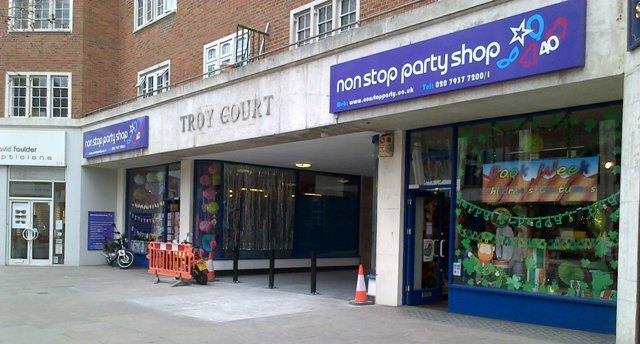 Extensive London party shop laid out over two floors with a vast range of over 5000 party products, everything you will need to host your celebrations from children's birthday parties to weddings. This London party shop offers local delivery of balloons across most of London. 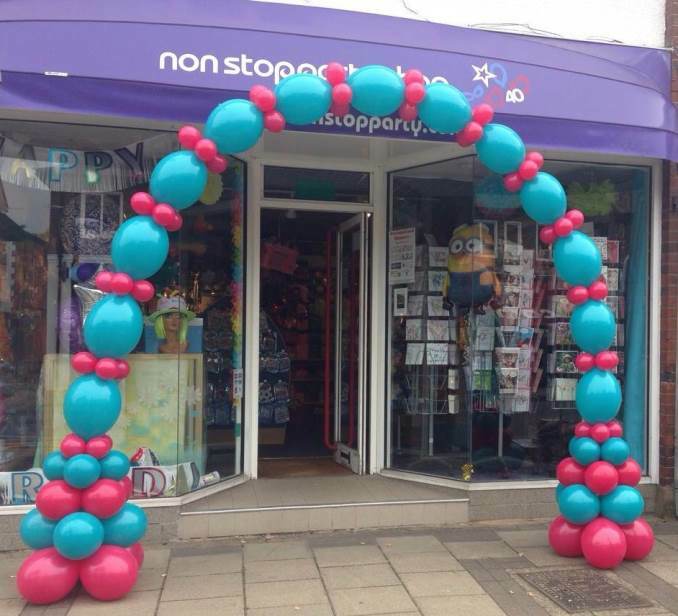 You can come into the shop to place your order or give us a call and our friendly staff will be happy to assist you in organising balloons to be delivered to your friends and loved ones on their Birthdays, Anniversaries, Hen Parties or an opportunity to brighten someones day with gorgeous balloon displays. For last minute parties our Kensington shop can also do same day deliveries, subject to postcode and availability. Click here for more details. Our friendly team can provide personalised foil balloons written on with your special message or name. This is a great way to personalise your gift or party to make for a truely special occasion. As well as delivering balloons we also offer local London delivery of children's tables and chairs. Please contact us if you would like to book Children's Chairs and Tables. Click here for more details. Here at Kensington we can sell fireworks 15th October - 10th November, 26th - 31st December and 13th - 16th February, unfortunately we unable to sell fireworks online. Our range includes smaller fireworks perfect for garden displays as well as larger fireworks for larger events. What fireworks display would be complete without sparklers, we stock 2 different types. To view our range of fireworks, click here. To view a list of our current vacancies, click here. We can deliver Children's Tables and Chairs to parts of Surrey (local to the Cobham shop). Please contact us if you would like to book Children's Chairs and Tables. We can deliver balloon bouquets for birthdays, celebrations etc in parts of Surrey - please call us for more information (please note there is a minimum order for delivery). We regret that we are unable to stock all of our products instore that appear on our website, if you have a query please phone the shop you are looking to buy the product from. Our friendly team can also provide Personalised foil balloons written on with your special message or name.